Tallow: still unparalleled in its power to nourish and heal the skin. On March 1, 2015 I wrote an article about the benefits of tallow balm for our blog. After having re-read the article, I realized that there is not much more I would add to that relatively comprehensive review. So, I will offer a summary of that article here and close with an offer from Vintage Tradition who has launched a new website and label! 1. It is a wise precaution not to apply substances to our skin that we would not readily take internally or, in a word, eat. 2. In his book Toxic Beauty, Samuel Epstein highlights the fact that many chemicals are found even in some popular “natural” brands found in health food stores. There is also undisclosed “fragrance”, almost certainly synthetic, and such fragrances have been documented to be carcinogenic and toxic in other ways, causing headaches, dizziness, allergic rashes, skin discoloration, coughing, vomiting, and skin irritation as well as nervous system and behavioral effects. 3. As Sally Fallon Morell explains in the Oiling of America, “natural” products also contain certain vegetable oils that could be harmful: polyunsaturated oils like safflower, sunflower, cottonseed, corn, soy, and canola. 4. Tallow was traditionally used for skin care. A book of recipes and information for all facets of life, written by Dr. A.W. Chase, MD in 1866, lists ten formulations of salve, eight of which contain tallow, in addition to other natural ingredients. 5. Skin care products that were made with animal fats disappeared at the same time that animal fats in our diets did. Among the animal fats used for skin care, it appeared that the one used most overwhelmingly was indeed tallow. Tallow is the rendered fat of cows, sheep, and other ruminant animals such as deer. It is very solid and waxy at room temperature and can be kept for extended periods without the need for refrigeration. Vintage Tradition was one of the first to reintroduce tallow balm for retail sale in the United States. 6. No plant-based skin care ingredient or product can remotely compare to tallow in its power to nourish and heal the skin. Read more in my original post on the topic. 7. Tallow is compatible with our skin biology and is readily absorbed by the skin.Tallow contains the abundant natural fat-soluble activators, vitamins A, D, and K, as well as vitamin E, which are found only in animal fats and which are all necessary for general health and for skin health. 8. You can make your own tallow balm. Mine simply hasn’t turned out as frothy and light as I’d like … and there are only so many hours in the day, so I get mine from Vintage Tradition. I choose their brand because of the quality and simplicity of the 3 ingredients: 100% grass-fed tallow, Chaffin Family Orchards’ extra virgin olive oil, and Young Living Essential Oils. I like their varieties as well. In addition, they have been consistently supportive of the Weston A. Price Foundation and Nourishing Our Children as active community members and cheerleaders. For the last couple of weeks, I have been using Vintage Tradition’s improved tallow balm on the back of my arms in the hopes of healing the keratosis pilaris I’ve developed. I am so happy to report that it has cleared up significantly, and is almost resolved at this point. I am very encouraged to continue to apply it regularly. I’ve been using Sensible, however I believe any of the varieties will serve. Read other testimonials from customers like myself. Vintage Tradition now sells their products on Amazon, however they are offering our community members an exclusive 10% discount through August 7, 2017 on their website. Use code nourish10. The discount applies to your entire order, including their deodorant and samples! Yes, they now sell tallow balm samples, as pictured above, and will also send a complimentary sample of your choice when you purchase $50 worth of their products! Kenneth and Andrew Gardner of Vintage Tradition have generously offered our community members 4 free 2-fluid ounce tallow balms to be shipped to 4 individuals within the United States. If you are randomly chosen, you will have an opportunity to choose what scent you’d like, including completely unscented. Recipients will be chosen on August 7, 2017 at 6:00P Pacific. Please answer this question below in the comments with no less than 5 sentences to enter the giveaway. Be sure to mention tallow balm in your response. What skin care products you are currently using and why would you like to receive a tallow balm? Results – Four qualifying responses from Amanda Bevan, Deb Regan, homesteadylife, and SageView were randomly chosen to receive a 2-ounce tallow balm of their choice complimentary. 104 Responses to Tallow: still unparalleled in its power to nourish and heal the skin. I am currently using Acure skincare. Although it is organic, I would like to receive tallow balm to minimize the amount of ingredients and start using something more pure. Thanks! I am not really using skincare products currently, just some cream on my face and some home made sunscreen. I am looking for a good exfoliant, but the only brand I trust is pretty spendy. I love Eminence skincare, but they are pricey. I am excited to learn more about traditional skincare, and truly nourishing my skin! I have never thought of putting tallow on my face, but would love to try it. After years of using jojoba oil, I now make my own tallow balm. But I would love to try the best of the best! I agree that skin care products should be 100% edible, and I have found that tallow is very readily absorbed. I am amazed by how little tallow is needed. It is truly the most powerful skin moisturizer I’ve ever used. I love that tallow-based skin products are on the market– I cook with lard and tallow and sometimes when I get some on my fingers I rub it into my skin, in the moment wondering what sorts of benefits there might be to doing it. I would love to use tallow balm as well as have my husband try it. Currently we use almost exclusively coconut oil on our skin instead of using lotions. My husband’s skin tends to be dry and bumpy, we’d like to see if tallow balm will help improve his skin. The only other skin product I use is a cane sugar and lime juice mixture for exfoliating. When needed we use a mineral-based sunscreen. I’m currently using my own oil cleansing/tallow moisturizer, however since having my baby girl 4 months ago my skin just isn’t the same so I would love to try a natural product to regain my smooth and healthful skin! I have scars on my face from reactions to commercial skin care products. I also get headaches from the chemical fragrances used in most skin care products, although I don’t have any negative reactions to essential oils. Because of these reactions, I haven’t used commercial skin care products for several years. I have tried coconut oil, but my skin doesn’t seem to be much better off after using it. I sometimes use butter on my skin when it’s really dry,but butter is greasy on my skin for hours after putting it on, so I save it for emergencies. I would love to win tallow balm so that I can try something truly nourishing to my skin and with a pleasant natural scent that won’t cause a migraine. Thank you! Our family has been useing coconut oil frequently. We also like to use cold pressed caster oil, Mostly me and I mix it with the coconut oil for a facial. I’ve read that tallow balm for the skin is really luxurious and really the best. I would like to try and hopefully even have a go and making our own. I think I’d prefer to leave the making to the experts for the first time trying, to have an idea of what its suppose to look like. As of right now, I don’t really use commercial products on my skin, as I switched to all natural products a few months ago. I do use some conventional makeup products though, but I am slowly switching those out for natural options as well. I make my own charcoal eyeliner & cocoa powder eyebrow filler, but use Beauty Counter’s mascara & Physician’s Formula organic foundation. Not all perfect solutions, but they are much better than what I had been using. To take off my makeup I use a mixture of castor oil, rosehip oil, & argan oil, which leaves my skin feeling moisturized. I don’t have a good moisturizer for my body right now other than coconut oil, so I’d love to try tallow! Thanks! I currently do not use a specific skincare product. I don’t use anything but would LOVE to try this healing tallow balm on my arms and cracked heels. Please share more! As is stated above in the instructions, we require at least 5 sentences for your entry to be considered! I am currently using coconut oil as a moisturizer. I would love to try this tallow balm as I have heard that animal fats can moisturize our skin better. I am also trying to find a better lotion to use on myself and my kids. I love all natual skin products and hope I can get picked to recieve this tallow balm. I use coconut oil to clean my face and a combination of olive oil and brown sugar to exfoliate. I’ll use raw honey for breakouts and my breastmilk for any kind of irritation or rash. I do use a bit of Aveeno lotion on my face after showers and cocoa butter lotion on the rest of my body. I’ve never tried tallow for skin care, but the balm sounds awesome. I’d like to try it on my keratosis pilaris and see how it helps my skin recover as I lose weight. I am recovering from breast cancer. Your product gives me confidence and makes me feel good. I try to use organic and natural products whenever possible. I like the fragrances. I like knowing it is safe on my skin or lips. I’m using Weleda, Dr. Hauschka and Alaffia. I need a thick nourishing balm and have been hearing about tallow balm from the nourished group. My son occasionally would have dry patches on his belly. It is not easy to find a product with very few ingredients that I’m comfortable to put on my son. Looking forward to trying this balm. I am currently using Dr. Bronner’s tea tree oil soap and a salicylic acid body wash. I would love to try something to protect my skin on my face as I age which is why I am here! But everything I have tried so far leads to acne for some reason. I have dry skin on my legs and kertosis pilaris which I would love to try your products on, but mostly I am looking for a long term healthy moisturizer. I am the type of person that like to use the same thing forever! I made the transition to toxin free body products during my pregnancy over 4 years ago. The transition has been easy for me and I have had a lot of success finding many great products that are both effective and affordable, with the added peace of mind. There is an overwhelming amount of greenwashing and deceptive labeling in this industry so it is important to read labels and research ingredients. I have yet to try tallow balm but from everything I know about safe and effective ingredients it sounds like perfect option for a body product. We’re in the thick of the summer here, so I use Crunchy Betty’s Royally Flawless Facial Oil to moisturize my face. For the rest of my skin, I use argan oil, jojoba oil, or fractionated coconut oil. These oils are light and easily absorbed, whuch make them ideal when it’s warm out. As we head into the colder months, however, there is nothing like tallow balm to moisturize and soothe my skin. I love Vintage Tradition’s tallow balm, and I hope I get to win one. :) Thanks for this opportunity! My current skincare is mostly just soap. The soap is made locally with local organic lard and local herbs. I cannot even use commercial soap or even handmade soap made with vegetable oils anymore as it just does not clean as well. However, I have never seen balm made with tallow or any animal product besides lanolin. I do use homemade lip balm made with coconut oil, cocoa butter, olive oil and essential oil in the winter and also homemade comfrey salve for wounds. So, I am very intrigued by getting back to my roots a little deeper by learning more about & trying tallow balm. Exciting! I have had a number of health issues over the years and have come to be convinced that what we put in, on and around our bodies directly affects not only our physical but emotional health as well. As convinced as I am of this it can be difficult to afford the food and cosmetics that I know are best. I do believe that skin care is important and so I rely on sales, discounts and giveaways for my skin care needs. Therefore I don’t have a consistent regiment, but I try to have a clean one as much as possible. I’m currently using Keeki Day rejuvenating lotion in the morning and maracuja oil in the evening (both on clearance at the health food store) I would love some tallow balm because it’s so nourishing and will not only make my outsides happy but my insides as well. I am currently using Crunchy Betty Royally Flawless Facial oil – it’s just a blend of amazing oils – like argan and frankincense. I only use real whole ingredients on my face – found in nature. I used to use coconut oil but it wasn’t exactly what my skin needed. Now that my skin is aging, I know it would just drink up the tallow. I’d LOVE to try this product! I am currently using a mish-mash of products. I was recently diagnosed with lyme disease, so I’m slowly removing all toxicities in my home. Being a homeschooling, single income, family makes it hard to afford the healthy products. So, I would would be grateful to try this product! I am currently using Vintage Tradition almost unscented Tallow balm. I love it. I have very sensitive skin and this is the one face cream I can use that doesn’t trigger a reaction. It keeps my skin moisturized all day long. It smells wonderful. It feels great. My 17 year old son also uses it on his face and has great acne free skin! I buy it for my 80+year old mom too. She used to use Petroleum Jelly on her face. 😳 She said it was the only thing that made her skin not feel all dry and awful. I gave her a jar of Vintage Tradition and now she only uses Pretty Girl scent. Even carries one with her in her purse. I would love to win a jar because my family and I have an awesome tallow balm habit to support 😉, so a free jar would be really cool! Thanks!! I currently use a tallow based face lotion from Fatco that I love but it’s almost empty, and frankly out of my budget now with a new baby. I also make homemade body lotion with a combo of cocoa butter and shea butter. I find it hard to get a soft consistency to it to apply easily. So I’m always on the look out for a natural lotion that’s full of only ingredients I’d eat and have loved the softening effects of tallow in other products I’ve used. I also want to find a good lotion for my newborn that is all natural. Thanks for the giveaway! I’m currently using a variety of “natural” skincare products as well as coconut oil. I’m not completely thrilled with any of these products, no matter how many I try. Either they are not moisturizing/healing enough, or they are greasy or sticky. I would love to win the tallow balm to see if it would heal my itchy, dry skin. I would also love to try it on my face to see if it would help with my acne scars and breakouts. Tallow sounds great! I am currently using Armani oil and rosehip seed oil with a healthy diet that includes cod liver oil. I would like to receive the tallow balm to heal the eczema on my face and a few of my children’s faces as well. We’re tired of the prescription options and we want something better. I currently use Mother Dirt spray on my face/body and Primal Pit Paste deodorant. My family uses Dr. Bronner’s soap. We use Clean Well hand sanitizer when out. I use an herbal salve on my son’s face (bad scar from bike crash). I would like to try tallow to help heal that scar! I currently use coconut oil to remove my makeup and wash my skin using a homemade cleansing grains solution from Rosemary Gladstar’s recipes. I follow with herb infused witch hazel as a toner and then moisturize with a coconut oil based product I purchased from the store to try a while back. It isn’t working for me at the moment as my skin has been uncharacteristicly dry since having my baby 5 weeks ago! I have made tallow based skin care products before and they were very popular among my classmates in herb school!!! I would love to try these!! Thank you! I currently use only water (no soap!) on my face. Next I use a bit of Vintage Tradition tallow balm (Pretty Girl scent) and an extra drop of Young Living’s Geranium oil. And, if I use makeup, I currently use BeautyCounter and Benefit products, but will soon be purchasing Young Living’s Savvy Minerals makeup! I would love a chance to try the tallow balm because it aligns with my way of eating & viewpoints on health. Making the transition to clean, ethical, limited ingredients skin care was one of the best things I ever did for my skin. Although I believe, the skin’s health really is portrayed by our internal health, particularly our gut, assisting the skin will encourage more renewal & better aging. I have repeatedly returned to an Australian line called Miessence which I love but I find myself making more & more products on my own with infused oils & herbs. I have long been wanting to try tallow on my skin & am surprised I haven’t by now. It is such a traditional product & aligns with how I eat according to traditional diets & am relearning the skills of my ancestors through the power of herbs, femine cycles, spirituality, skill sets, & movement. Looking forward to it. I’ve been wanting to try tallow balm! I cleanse with a dr bronners blend I made. Exfoliate with a sugar scrub my sister made. Toner acv/h2o combo. Some days I wear makeup by tarte and younique. Other days I put on vitamin E oil or coconut oil & shea butter with frankincense. For sunscreen I like Thinksport or my homemade stuff. I’ve been hearing about tallow balm for about 2 years now and still haven’t gotten around to trying it. I have been meaning to…just lazy I guess. For facial care I sometimes use BeautyCounter products and sometimes PureHaven. My mom and I make a great shea body butter that I use mostly on my hands and feet but sometimes on my body too. I find myself only wearing makeup about once a week these days and I’m loving it! I’m hoping tallow balm would help an aging face feel/look young again! I don’t usually use anything on my skin. If I am going into the sun, then I apply Tropical Traditions Gold coconut oil. My grandmother frequently suggests that I use a lotion on my skin. I refuse to put anything on my skin that I cannot eat. I would very much like to try your tallow balm. There are many occasions when I would like to have something to put on my skin such as during dry weather. I have oily skin and I’ve shopped around a lot, trying to find skincare products that work for me. It’s difficult finding nourishing, natural products though. I’m currently using Burts Bees products, but they haven’t been the greatest to me, so I’m using up the bottle and I hope I can find something better after that. So I’d love to try this tallow! I used to make all my own skin care products but as I have become busier I have found the need to fill in the blanks here and there. The only products that I purchase are Lusa organics soaps and lip balms and Schmidt’s cedarwood and juniper deodorant paste. I brush my teeth with charcoal, wash my hair with baking soda, use a witch hazel/acv toner on my face and then lotion with a mixture of olive oil and jojoba oil. I would like to receive a tallow balm because I am excited about finding more products that I love and are made with the quality with which I would make. I’ve decided to go chemical free 8 years ago when I was diagnosed with hypothyroidism. I proudly announc that I was able to cure my hypothyroidism by simply following a chemical free life and it only 1 solid year to cure it completely. I use coconut oil as my moisturizer sometimes but I am still in the lookout for a good chemical free option. Recently I have been following your blog and fell in love with ideas and thought process. I simply cannot wait to try this product. I currently use a combination of NYR Organic and Miessence skincare products for myself. I use the Beautycounter baby oil and balm for my baby because it has pure ingredients. However, I would like to try out tallow balm for myself and my baby especially to see how it compares to other products. I am wondering if it would make a difference in the softness of my skin as well. It would be nice to use even fewer ingredients in our skincare! I am currently and feel like I am always trying to find a good product to use that doesn’t make me break out. I have been using Andalou products and apple cider vinegar. I have heard of your tallow balm and would love to try it on my face. Thank you. I make my body creams, which consist of some combination of olive oil, avocado oil, shea butter, coconut oil, cocoa butter, essential oil. My 3yo is allergic to many foods and his reaction is eczema (despite constant avoidance, he still usually has some small amount of rash going on). It’s been a lot of trial and error to see which combo works best for him – it’s constantly changing. I’ve even tried making my own tallow balm from locally sourced tallow but I found the scent too offensive to use (I’m pretty sensitive to strong scents). I would love to try Vintage Tradition’s tallow balm because I know tallow is the best at nourishing the skin!! I almost currently using Goe Oil and although I like the natural all body use I recently learned they proudly donate to Planned Parenthood therefore I will not be purchasing their products on the future. I have just learned of your product and see that your product not only provides a very natural full body use it also has a medicinal affect! Love simplifying travel as well! I am currently using rose seed oil, and I really love to try an animal product on my animal skin! Plus the scents sound amazing! around my knees and feet and I know I need a better product to help in these areas, Tallow Balm sounds perfect! I would love to be considered for that Tallow Balm Giveaway! Currently our family uses only three products in our skincare routine. I’m admittedly more apprehensive when trying new regiments because they are usually out of our budget and we have a child that struggles with eczema (so there’s always the risk of having a reaction and trying to get it back under control which can take weeks!) I know I’ll get flack for using these things but Dove Unscented bar soap, Alba Botanica Very Emollient body lotion, and Banana Boat sunscreen (zinc oxide/titanium dioxide only) are all used pretty regularly and help us protect and manage dry skin. I would love to try the Tallow Balm mostly because I have faith that it would work very well for our family, instead of the the ones with loads of “natural” ingredients. Please choose us for the Tallow Balm giveaway and help us turn the corner with our skincare regimin! I make my own body butter which I use all year except in the summer. I make it out of shea butter, cocoa butter, coconut oil, sweet almond oil and essential oils. This is a bit too heavy during the summer though when the humidity is high. In the summer I use Common Sense Farm baby lotion over a thin layer of Aura Sense hyalauronic acid serum. I would like to try Vintage Traditions Tallow Balm to see how it compares to my body butter. Plus, I’m intrigued by “its power to nourish and heal the skin.” With my, ahem, mature skin I would welcome a natural product that nourishes and heals. We are using different plant oils at the moment. I used tallow for a rash while I was pregnant with my second and would love to use it again and have my entire family begin to use it as well. I have been making tallow balm for a few years now. I originally started making it for my son who had bad eczema at the time. It helped tremendously! Even though he doesn’t have it anymore, we still use it. I can’t remember the last time I had to buy moisturizer from a store! It doesn’t make me break out and it’s extremely efficacious. I recommend it to everyone! I hope to try a sample of the Vintage Traditions balm, as it was my original inspiration! I believe completely in eliminating our family’s toxic load and skincare is no exception. Im acne prone so I have tried many things but am finding diet to be the key for inside and out! I’m still nursing-so breast milk is at the top of the list for many skincare issues :) I use a variety of products in my skincare routine but am wanting to incorporate tallow balm as I haven’t tried it before and love the ingredients! I love that products such as this are available! My family and I use Egyptian Magic, coconut oil, or a homemade coconut oil and shea butter lotion. I have a two year old with extensive eczema and food allergies that started me looking at traditional diets. Now my three month old is showing beginning signs of eczema even after my traditional diet. I have always had very dry skin also. I will continue trying to learn and striving to do what’s best for my kids and would love to include tallow balm in our healing regimen. I am currently using Almond oil and shea butter as a moisturizer. However, I would like to try the best there is, tallow balm! I would also like to use it on my 10 month old who has a dry patch of skin the almond oil and shea butter can’t seem to eliminate. I am slowly trying to clean up my beauty routine with better products. I would love to try out Vintage Tradition tallow balm . I currently use 2 different skin creams. Both are small company products. One is specifically for face & the other a whipped cocoa butter for face or body (I use it for dry skin & tattoo protection). I would love to win the tallow balm as I have had little exposure to it as a beauty product. I have historically used butters such as shea, cocoa, mango etc & oils such as sweet almond, olive, hemp seed etc. I am very familiar with Sally Fallon Morell & the Weston A. Price Foundation and I have gradually (over a couple of years) adopted some of the teachings into my family’s regular diet (grass-fed products, fermented foods & drinks, bone broths etc). I would love to try rhis product as I like pure natural products. I would love to receive a tallow balm for so many reasons. First of all because I trust the Westin Price Foundation and would be excited to try something new for my skin. Currently my skin care regimen is pretty basic. I use lots of water, drink lots of water, and then use coconut oil and essential oils on my skin too. I’m new to tallow balm and it’s amazing properties. I would love to try this and my husband is interested too. I currently use only oils as moisturizers on my face, such as sea buckthorn, jojoba, and castor. I have Rosacea and have noticed considerable improvement after switching to an all natural skin care routine. My sunscreen is very natural too. I noticed that chemical skin care products irritate and over-dry my already super sensitive skin, so I’m very happy that the natural route has been working! I would like a fallow balm because my mother actually bought one from Vintage Traditions and said great things about it. I tried it too and it moisturizer my skin like no other cream without leaving it oily! I would be thrilled to add tallow balm to my natural skin care routine. I hope I win! Thank you for this opportunity! I am a type 1 diabetic so I always pay close attention to my skin. It can get dry fast. Currently I use ponds dry skin cream. I would love to try tallow balm for something more natural. I have also just started using essential oils. For the last couple of years, following a serious skin rash (healed through proper food intake), I’ve only used natural products on my skin. I rely on essential oils, organic carrier oils, and various products from Young Living and other reputable and researched companies. I love taking good care of myself and sharing my findings with others. I’ve never used tallow balm and am interested in learning more firsthand about it’s curative properties. Thank you for this giveaway! I currently am using coconut oil on my skin. I use it as a makeup remover and skin moisturizer. I alternate that with olive oil and also with Shea butter. I use Shea Moisture’s baby eczema lotion with frankincense and myrrh on my baby and on my face (which has bad eczema/psoriasis). I’d love to try tallow balm on our skin to see the difference between plant based moisturizers and animal fat moisturizers, especially since animal fats more closely resemble our own bodies and their needs. I’m also hoping to begin cooking some with tallow some day if our budget grows lol. My husband and I raise 100% grass fed beef and I would love to sample tallow beauty products. I am always looking to experiment with value added products to sell in our store. I currently use pure coconut oil and Healthy Traditions coconut oil creams and lotions. Making tallow balm could be my next winter experiment. I met a woman in Lake Tahoe who made it and graciously offered me a sample. I loved it. I currently use Acure face wash and face scrub, and for moisturizing and healing I use a carrier/essential oil blend that I make. I use half evening primrose oil and half argan oil, and I add a low dilution of calendula CO2, sea buckthorn berry CO2, frankincense, and helichrysum. Since I have an autoimmune disease I try to keep my toxic load as low as possible and keep chemicals out of my beauty routine. I have a jar of Epic beef tallow in my fridge and I put some on the back of my hand once and loved how it moisturized my skin. I would love to try a tallow balm on my face and for my eczema. My eczema is bad this year and I need more options for deep moisturizing. Having a thyroid disorder means I have dry skin automatically so it would also help with that! I would LOVE to win Tallow Balm! I am trying to convince my son to use products that nourish his body, rather than Old Spice (which is toxic overloadl!). I purchased 1/4th of a grass fed beef, and asked for the fat so I could make my own tallow. I have yet to convince my husband and son (and honestly, myself) that it can be done. This could convince all of us and give us the inspiration that we need! I am 65 and I love to learn new things. It makes so much sense to only put on your skin what you would eat. Thank you for that enlightening information. I am very excited to put into action what I have learned. It would be wonderful to win the Tallow Balm! I would love to see what it can do for my skin. Even if I don’t win the Tallow Balm I learned something and that is winning! My family and I only use coconut oil as a moisturizer. I use an essential oil spray as deodorant, and my husband uses a beard oil made from essential oils. He currently still uses conventional deodorant but is willing to give natural deodorant another try once the weather cools down. I would LOVE to try tallow balm skin care. I am especially interested in the deodorant! I have never heard of tallow balm before reading the article. It sounds amazing. I use several products, but I love Josie Maran’s argan whipped body butter. I know it contains chemicals but is as natural as possible in a whipped light beautiful product. I have also used Selina Naturally Rare Body balm. It contains shea butter and really deeply moisturizes but I don’t like the smell of Shea butter and it leaves a greasy feel. I would love to try this product!!!! I currently use DoTerra Verage Skin Care line. I would love to try this instead as a moisturizer. I had never heard of using it for the face. I also would love to try it on my pesky (only) right heel that for years has been dry and now starting to crack. As well as a belly balm for my growing belly this pregnancy. Tallow balm could be my new go to I’ve never tried before! I’m currently using a lotion called EO For Everyone which is a nature lotion but still has some ingredients I don’t love. I would love to be able to try this out! I also use coconut oil for especially dry areas. Lastly, I drink a lot of water to keep my skin hydrated! This is the first time I’ve heard of Tallow Balm so I’m excited to look more into using this as an alternative. I currently use doTERRA’s spray on toner. I don’t need much moisture on my face during summer when there’s more moisture in the air. I use their lotion on my body sometimes too. I also use coconut oil and sometimes raw, local honey. Mmm. Anyways, I have rendered my own tallow before (from 100% grass fed cows) and tried it on my skin. It’s amazing! I can’t wait to do it again this Fall. That’s why I would LOVE to try this product (unscented). I’m pretty sure it would be amazing (I just hope the olive oil is real olive oil; there’s a lot of fraud in olive oils from Spain; I’ve heard to use certified California olive oil). I am using a lotion that i made with raw coconut oil, fractionated coconut oil, cocoa butter, & essential oils. This is the first time I’ve made a skin care product from scratch. I had never heard of using tallow for skin care, though i have used it in cooking. I would love to give your products a try because i really like to learn how to use natural & traditional methods that have nearly been forgotten. I like to share those natural products so that others may, also, improve their health. I’m looking for a new facial moisturizer that would keep my skin supple and moist. As I mature, it is important to find a cream that can actually penetrate my skin. It makes total sense to put something organic and “edible” on one’s skin. Beef tallow cream that I have tried before smelled like it belonged on a fry pan rather than my face. I hope that the new scents smell clean and refreshing. Currently, I’m using Dr. Hauschka cream. While I am diligent in my traditional eating habits, I am just starting To turn to natural skincare and makeup alternatives. Currently, I use a cleanser/makeup remover from Philosophy, an anti aging serum from Lancôme, and an all purpose natural moisturizer called Egyptian Magic. I have sun damage from living for 18 months in the Brazilian Amazon as well as acne scars, and I have read multiple accounts of success stories using tallow to nourish skin. I am interested in trying Tallow Balm to reverse and prevent damage. If it proves successful, I know the ladies in my religious community’s book club will love to try it. I have already introduced them to the Nourishing Traditions lifestyle and several of them have decided to dive in! I hope this will be our next venture. I currently do not use any store bought skin care products. I don’t like the ingredients or the price. I use coconut oil and tea tree oil for dry skin. I would like to try the tallow balm as it is natural. I cook with lard and noticed it is a great moisturizer when I get it on my hands. I have very dry, sensitive skin and also suffer from keratosis pilaris. I currently only use coconut oil as a moisturizer for face & body, but when my skin is particularly dry, it is not enough. I have used a sample of tallow balm before and it seemed to have a deeper moisturizing effect than coconut oil. It is a little expensive for me, but perhaps worth it if it helps with my skin issues! I also like that it is 100% natural with no parabens or chemicals. Sure would like to see what it is like. I do not use much in the way of skin care.. seems that everything has scents which are not good.so this would be a good change. Hope I get to see. I use tallow soap. I am using up old stuff that I have for skin care and make-up. As I use them up I am buying (rejuva) or making my own (using coconut oil, baking soda, sea salt, essential oils, etc) that are more natural and healthy. Going with products that would be healthy to eat, along with a much healthier diet, has improved the symptoms of my chronic lymes disease. I would like to try this natural product as well to see its benefits. I have heard that tallow is healthy. I would love to receive the tallow balm! I have never used skin care products based on tallow and I think that it makes total sense that these products would be easily absorbed and nourishing to the skin. I currently use Sanre organic skin food. This is a very interesting post. I had never thought about the difference in plant-based skin care versus tallow-based skin care products. I would definitely love to try some of this product line. I’ve noticed in the last few months that what I’ve been using doesn’t seem to work any more. Great timing on your post! I am very intrigued. Thanks for writing about this. I am currently using expensive department store products on my skin (Fresh, Philosophy, etc. ), and frankly, I can’t afford to keep up this habit. I guess I bought them because of free samples that were offered. But now that I think about it, using products with fewer ingredients and without secret ingredients aligns more with my lifestyle. I would love to try some of Vintage Traditions tallow balm. I always struggle with choosing which scent or type, so a sampler package would be wonderful. Thank you for making this offer! I am currently alternating between sweet almond oil and rosehip seed oil as my primary face moisturizers. I also use lotion by Just Natural skincare, an all-natural eye balm from Soaplicity on Etsy, Alaffia shea butter lotion, and aloe vera gel. I also have emu oil and occasionally use coconut oil for moisturizing. I use a bar soap from Nubian Heritage for washing. I have a spot treatment roll-on by MadeOn. I would like to try tallow balm because I also suffer from keratosis pilaris. It is humiliating and a constant struggle. It is on my arms and my upper thighs. I also have unsightly red spots all over my legs. I would be overjoyed to have a similar reduction in my skin woes as the author of the post did. I currently use homemade or pre-made ‘natural’ skin care products. Our lotion is whipped Shea butter and coconut oil and for my face I use Alaffia’s Africa Secret that comes in a glass jar which I value. I would love to try this tallow balm as I’ve heard so many wonderful benefits of using tallow for skin health. I’d love to see those improvements myself. We have a variety of skin conditions in our family so I can only imagine how well it could work for everyone in our home! Thank you so much for offering the giveaway. I have actually made my own tallow lotion. We raise 100% grass-fed beef on a daily rotational system. I’ve never bought any tallow balm. Would love to try and compare to my own. I use coconut oil to remove makeup, on the occasion that I wear any. And I wash with Kirk’s coco Castile soap. Skin care has never been my forte. In my journey toward a toxin free home, I now make all my own products out of food. I use the oil cleansing method (calendula infused olive oil) but find that my dry skin needs more after cleansing. Coconut oil is too drying and so I look to tallow as my go to. I’ve tried rendering my own, but I can quite get it “clean” enough for my sensitive nose so I love Vintage Traditions. There’s a local product here in Berkeley that has been recommended to me but I haven’t had the chance to swing by and check it out yet. Tallow balm is one of my favorite moisturizers for my skin! It does great minimizing wrinkles and keep skin plump and moist. I also use shea butter, coconut oil, and a castor oil/olive oil mix. I also sometimes use witch hazel and aloe Vera on my skin. I also love that it absorbs quickly and doesn’t leave a greasy residue like coconut oil can. I currently use coconut oil on my skin. I love the way it feels, but I usually need to reapply during the day. My husband is in construction and his hands and feet are very dry and cracked. Nothing seems to work. I think tallow might do the trick! I have eczema & severely dry skin due to Hashimoto’s. For some time, I’ve been using an all natural handmade hemp & ucuuba salve made by a local lady as well as Maty’s organic all natural ointment. Have heard wonderful things about tallow & with winter coming, it would be wonderful to have to add to make the perfect trio of skin care. I am currently using the oil cleansing method. I use coconut oil as a moisturizer. This tallow sounds great. I would gift it to the farmers who run our CSA. Amazing generous hard working people! Mostly nothing, but occasionally a little coconut oil. I’d love to try tallow balm to see how it nourishes my skin! I currently use homemade cream made with cocoa butter, lard and a few other things I have on hand. I have been wanting to try tallow for so long! With two young girls, it is impossible to make everything and this giveaway sounds like just the thing for us to be able to try something new! I haven’t found anything that works good for my three year old’s bumpy arms and this again sounds like a great option!! I am finally running out of my huge supply of homemade cream and would love to give this a shot before trying to find the time to make more :) thank you!! I currently use coconut oil, ACV, and witch hazel on my skin. I’ve tried many things over the years including raw honey, clay, baking soda, olive oil and jojoba oil. I struggle with my skin even though I’ve been following a wise traditions diet for 9 years now. I’ve heard great things about tallow balm for skin from multiple friends who swear by it, I just haven’t taken the plunge yet because I’ve been disappointed over the years by other “swear by” products that didn’t pan out for me. But perhaps this is the one?! The product I’ve been dreaming off? The product that will truly nourish my skin?! I hope so! Also, my toddler son struggles with dry skin sometimes and I think this could help him too (other oils I use seem to make it worse i.e. Coconut and olive). Thanks for this opportunity! I’m currently using Everyday Coconut Day lotion. But, would love to win some tallow balm to moisturize my own skin and the skin of my newborn baby girl! We are trying to reduce our exposure to chemicals so I am currently making my own skincare products including a facial wash, day moisturizer and a night cream using coconut oil, shea butter, witch hazel and castile soap. I would love to win some tallow for the health benefits and to see if it would help my psoriasis. I have been using coconut oil as my only skin moisturizer. I would love to try Vintage Tradition’s Tallow Balm to experience the compatibility of Tallow from animal fats with skin cellular structure. I’ve read about Tallow, used from ancient times, and I saw an Ad from long ago that showed over-night healing of injured skin with great improvement! I’m a pretty good chef in my own kitchen, and I know animal fats do not go rancid as fast as plant oils! I’ve experienced the rancidity of vegetable-based soaps and lotions, and I’m ready to smell Tallow Balm! I make my own comfrey salve but I would love to have tallow salve on hand for it’s great ability to heal. I use LimeLight by Alcone products. 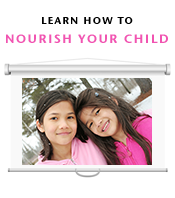 I am always looking for new (to me) ways to nourish myself and family. Would love to try this stuff! I’m currently using coconut oil and Vanicream. I have severe dry itchy skin on my legs. My dermatologist hasn’t been able to help me. I am currently using EO’s with almond oil and jojoba as the base. Usually use jason or alba brand lotions on the skin. My husband has psoriasis patch on his elbow and those lotions don’t seem to help him. Diet has gone a long way but perhaps tallow balm may help. I am currently using products from Evan Healy. I have always wanted to make my own tallow balm, but never seem to have the time! I also use coconut oil on my skin, as well as shea butter on my feet. I also dry skin brush at bedtime before putting on any products, like coconut oil or shea butter. I try to focus on what I put inside also, as does most everyone who reads this blog! Though I wish I could get my son back to that ~ he’s 15 and a teenager. He grew up completely on real food, but probably has heavy metal issues (from me and the first 2 rounds of vaxes) that I plan to address in the next several months. I was using a homemade olive oil cream for my face. Last time I ran out I was feeling lazy and didn’t want to make more and tried coconut oil, which I’ve heard good things about. I use that now and like it. I will also use coconut oil on my skin sometimes, but I’m so-so about that. I have made creams for my kids with coconut oil, too. However, my youngest is allergic to coconut and so I rarely use lotion on him and when I do it’s conventional store bought stuff – so I’d really like to try the tallow for him. Loved the information and helpful ideas in your post! I’m currently using Acure Organics for myself, but have been interested in DIY items. The idea of being able to eat (theoretically) whatever I put on my skins makes me want to switch to tallow based products. This is why I’d like to try Vintage Traditions improved tallow products. I’d like to compare them to my DIY versions and see if it’s worth it to just buy instead of make my own. A friend of mine just returned from Bulgaria with some Tallow balm, she said her grandmother has been making it for her daughter who has amazing skin. I make my own face cream using Rosemary Gladstars recipe using organic ingredients and just love it. I wonder if the tallow balm is a luscious. I have made some tallow so may try a recipe of my own. Cutting out packaged foods is a great way to start!